When you present your ELP Associates card to any of the following organisations you will receive a 10% discount. For Platform 39 ELP supporters receive a discount of £80 off the full list price of Adobe Photoshop, InDesign and Illustrator courses. We organise an annual exhibition for our Supporters. Recent venues include Embassy Tea Gallery, Shoreditch Town Hall Basement, Forman’s Smokehouse Gallery, the V&A Museum of Childhood, Bankside Gallery and the Brothers Grimm Museum, Kassel, Germany. We welcome input and energy from supporters who want to help curate and organise exhibitions. We also put on a series of events throughout the year, including open studios, visits and social events. For more information please visit our gallery page. 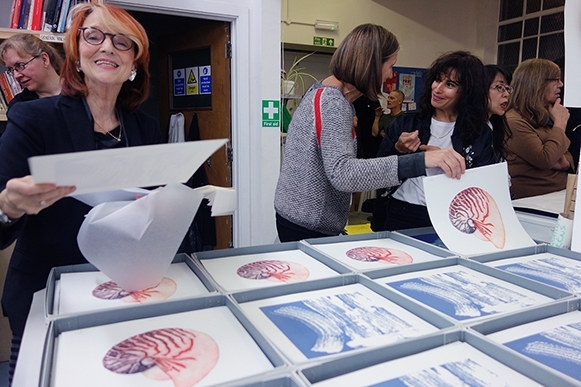 Every year ELP Associates have the opportunity to be part of the annual box set of prints. The set is held in the print archive at the V&A Museum and with John Purcell who donates the paper for the box set. Throughout the year the Box Set may get displayed at a number of locations as well as on permanent display in the ELP Studio. ELP Associates can also submit prints to be sold at a number of market events that we take part in throughout the year. 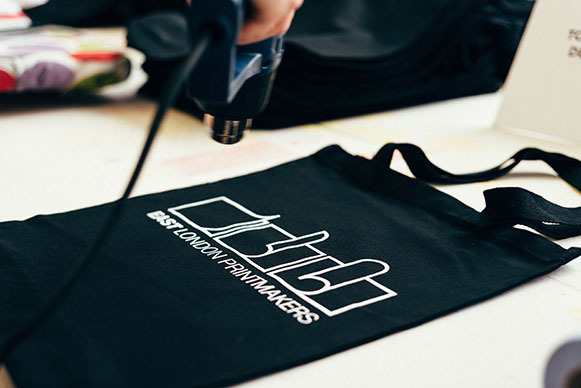 Those have included The Independent Label Market, Hackney Wicked, Just Got Made and many others. Associates have an opportunity to present their own work and see and discuss the work of others. We also invite a range of guest speakers from the printmaking and art world. Recent visitors include Heretic Studio, Victoria Browne, founder of Kaleid Editions, Phil Sanders of PS Marlowe, Simon Goode founder of the London Centre for Book Arts and Professor Tetsuya Noda. All our artists in residence give a talk about their work too. Associates receive a monthly newsletter with ELP news, opportunities and exhibition updates. Associates can have a page on our website with images and background information. Associates receive a concessionary rate for ELP Courses as well as priority booking for our Master Workshops. In the past we’ve had master workshops such as; Japanese Gampi and Chine Colle, Cyanotype and Mokulito. As well as discounted rates on all courses at ELP, Associates also receive discounted rates on courses offered by our friends at London Centre for Book Arts. Associates can join the waiting list to become a keyholder with 24 hour access to the studio. For more information visit the facilities page. We hold regular meetings throughout the year. The meetings are a great opportunity to meet other printmakers, share ideas and discuss all matters relating to printmaking. Associates can stand for election to the committee at the AGM in December. 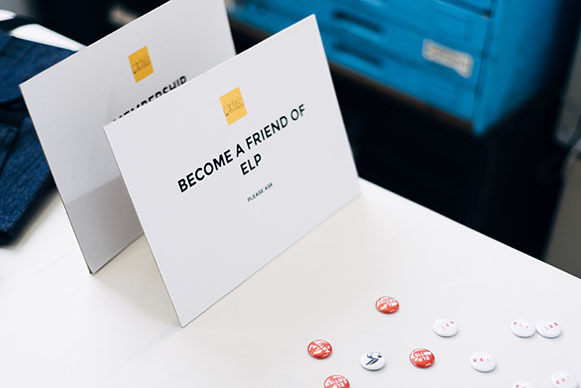 As an artist cooperative we rely on the time and energy of our supporters and we especially welcome Associates who would like to get involved in helping to run ELP as we continue to grow in size and stature. For more information about ELP Associates, send an email to ELP by filling the form on the contact us page. 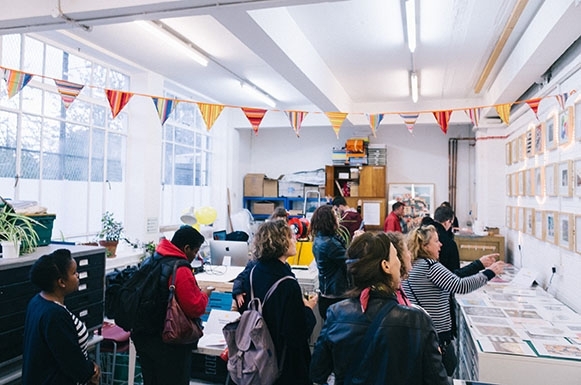 Since 1998, East London Printmakers has nurtured a creative space for artists and provided access to professional printmaking facilities. 2008 saw ELP celebrating 10 years of visual creativity and artistic engagement in Hackney. For more information about the Friends of ELP scheme, send an email to ELP by filling the form on the contact us page.